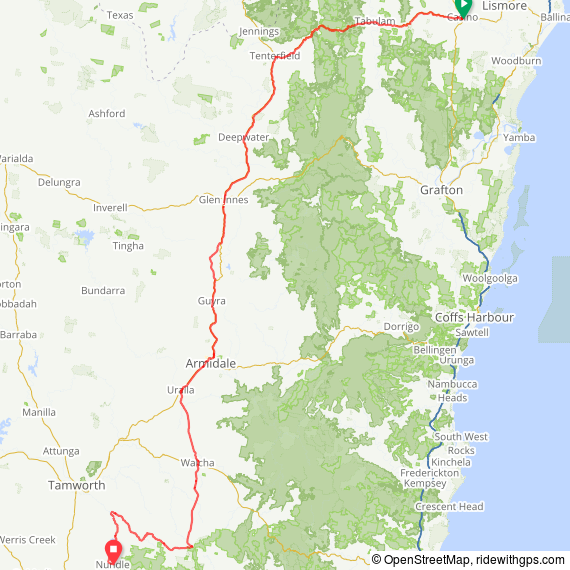 In mid 2018, Willo suggested a ride to Queensland in September. His mates, being his mates, didn’t let him forget; with time approaching, he had no choice but to continue with his suggestion, and plan and lead the trip. Thanks, Peter! With only 4 days available (retirement is a busy life! ), the trip was shortened from the initially-intended 5 days, to Casino and return. 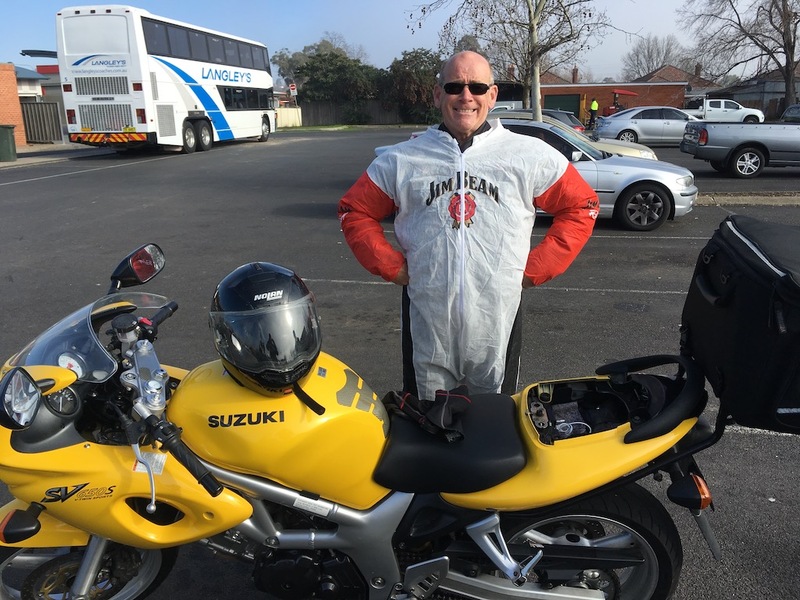 The overnight stops were at Gloucester, Casino, and Nundle. In all,there was 1845km travelled (thanks Rob for keeping a record of the distance travelled). 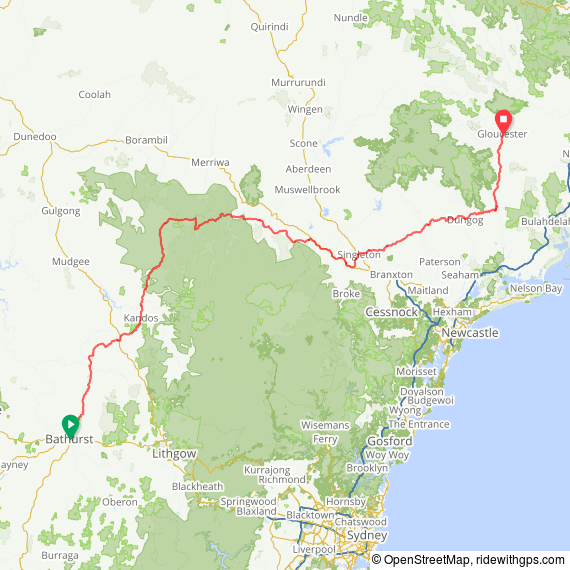 The route travelled can be viewed by clicking on the links below ‘day 1′, day 2’, etc. 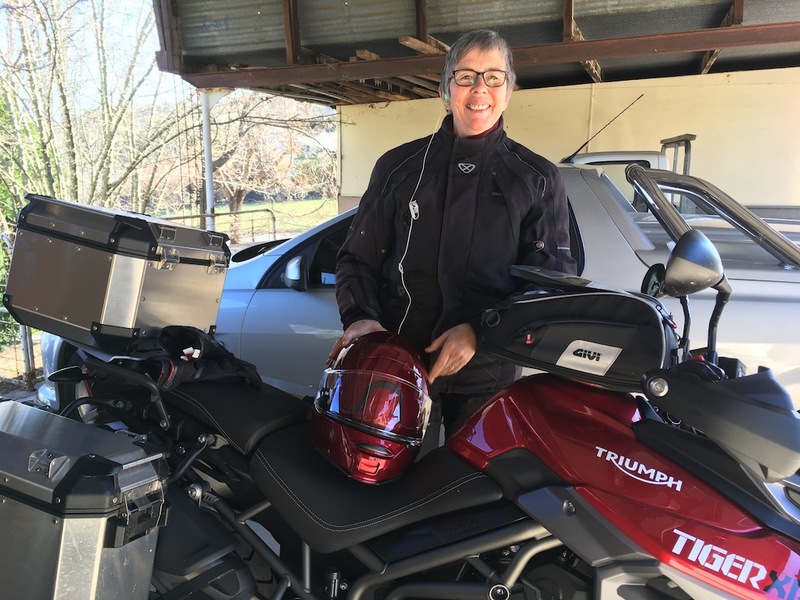 Margaret on her Triumph Tiger 800 XRT. Margaret had been concerned about her 29psi tyre pressures.Little did we know that other issues would compound the delayed start, with some riders arriving at our afternoon destination at Gloucester in darkness. The lubrication at the end of the day tasted real good! I’d personally like to thank David for clearing the path of roos, and testing the waters for hidden coppers, as he flew off the front. We’re really glad you didn’t have to take ‘one for the team’. I’d also like to thank Keith for his entertaining sidecar rides. Often around left-handers, up off the road would come the sidecar’s wheel. You just cannot take the boy out of the man! It was a pity we couldn’t enjoy the spectacle more often; for most of the trip he went off early, and we didn’t see him until our destination at the end of the day. Keith’s riding style did take it’s toll on his wallet. 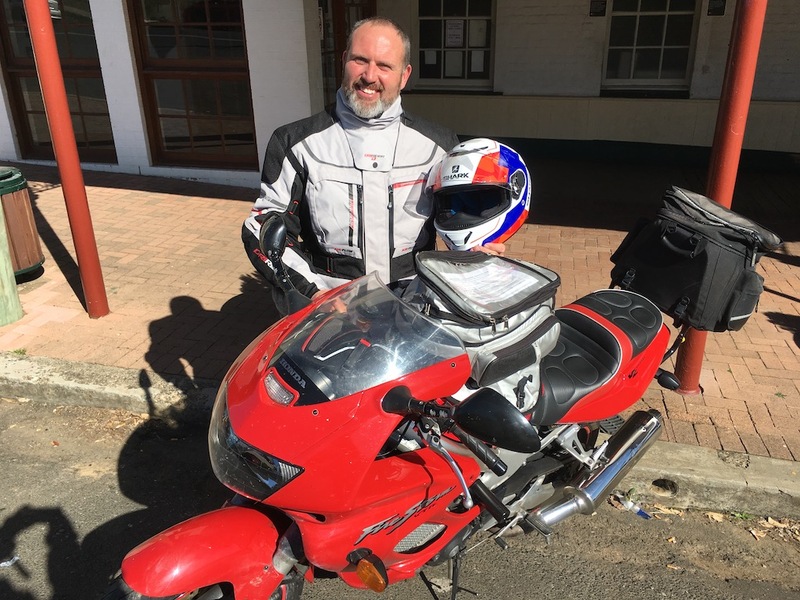 At the first top-up (for some) at Rylstone, his Kwaka took a generous 10litres, for only a handful of kilometres travelled. A couple of baby goannas (or similar) can thank their life to the riding skills of Neil, who somehow avoided the little lizards while at speed (Neil at speed that is, not the lizards). Surprise! Surprise! On day 1, Peter had bike troubles!? His brand new Hugger (supplied free because of issues with his first one), came loose. There was even more chatter for him this trip!? It was a shame as it caused issues for the remainder of the ride, especially over the fun twisty sections. Coming into Ilford, the sign ‘Start of oil spill’ caused a bit of consternation for the two wheelers. I think it may have been the start of some brown spill!? The 80/90kph speed signs from Stroud to Gloucester were fatigue inducing. It was such a nice road too. Somehow the group separated at Singleton after the fuel stop and bodgy-ing of my Ventura rack whose weld had broken. We waited at Dungog for half an hour for those who went via Musselbrook, but no show. Peter and I tried in vain by texting and ringing; David did reply when he had a chance (thanks David!). Eventually, Margaret came in around dusk, and David came in under darkness. He spent a long time searching for Margaret without success, even returning all the way back to Dungog. This chivalry is beyond the call of duty and we thank you for your concern. The Happy Hour (except for Peter) went down a real treat. We spent the same amount of money, but with twice the amount of lubrication! After the fill-up at the local station, and another late start (except for David and Keith!? ), we enjoyed some really nice twisties on Thunderbolts Way. Well, until a dirty great calf stopped us in our tracks around a blind corner, just past “Nipper’s Bridge”. It was here that my bike fell off it’s stand (I’ve learnt to put it in first gear when parked now — the hard way). Ended up with a broken gear lever, and non-functioning clutch lever. 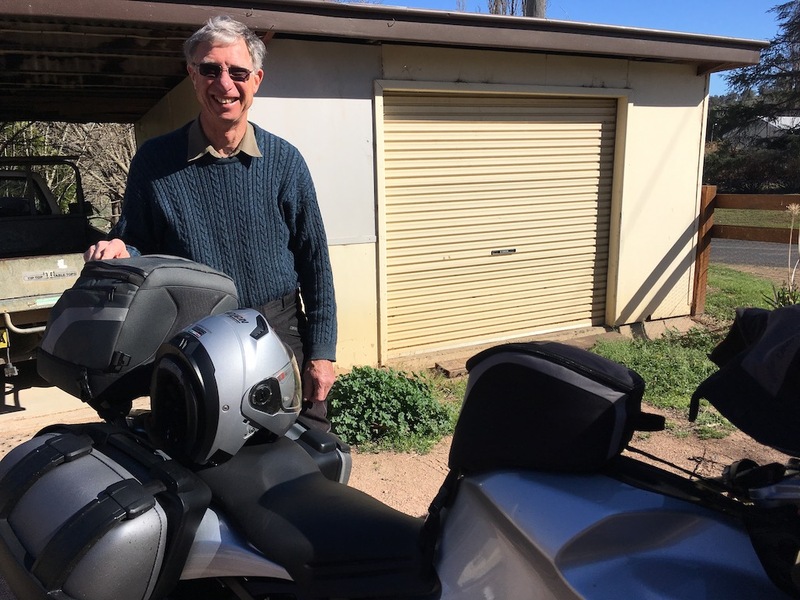 Thanks to Neil, he was able to disable the clutch lever’s cut-out switch, and, after a few instructions, I was able to ride it to Armidale without a clutch. Super Moto in Armidale were absolutely fantastic. Even though it was a Saturday, they stayed open into the afternoon for us, and repaired the broken clutch lever, and bodgied the gear lever to that I could get going again. They charged a mere pittance for their meticulous work. I cannot thank them enough, especially Isaac. Peter had more chatter problems (from his ‘new’ hugger). The chattering plagued him for the rest of the trip. The road from Grafton to Casino — Summerland Way — was a pleasant trip, even at dusk. We didn’t see any roos (except for Richard) until nigh on reaching Casino. And Keith got caught in a downpour. At Casino I caught up with an ‘old’ workmate — Shane. We talked until the wee hours of the morning. Maybe it was the Zambooka talking!? The publican at The Tatts Hotel, Casino, spent many an hour spinning yarns with us. He used to own the pub at Trunkey Creek, and made furniture while at Rockley. A small world (well, except for the publican). 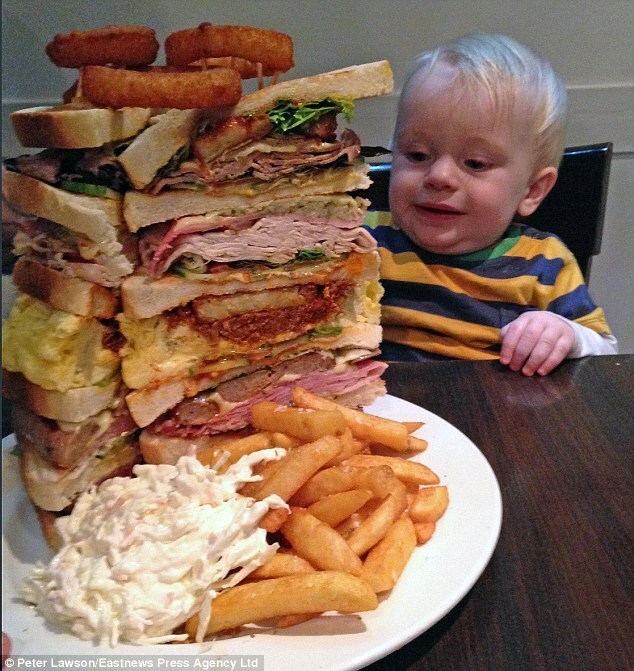 The Tatts Hotel did prove that there are meals too big for even Richard to finish. They were massive. One meal would do for 5! Rob did his own thing, and watched the Rabbitohs beat the Dragons 13-12 in the NRL preliminary final. There were Zambookas all round for my birthday. [I don’t like to celebrate, but thought it may help me forget my age.] There were not a lot of takers; one up to the Wankers, who won’t knock back a free drink (at Phillip Island a few years back). This was a pretty uneventful day, except for the copious discussions on how to get to our destination of Nundle. 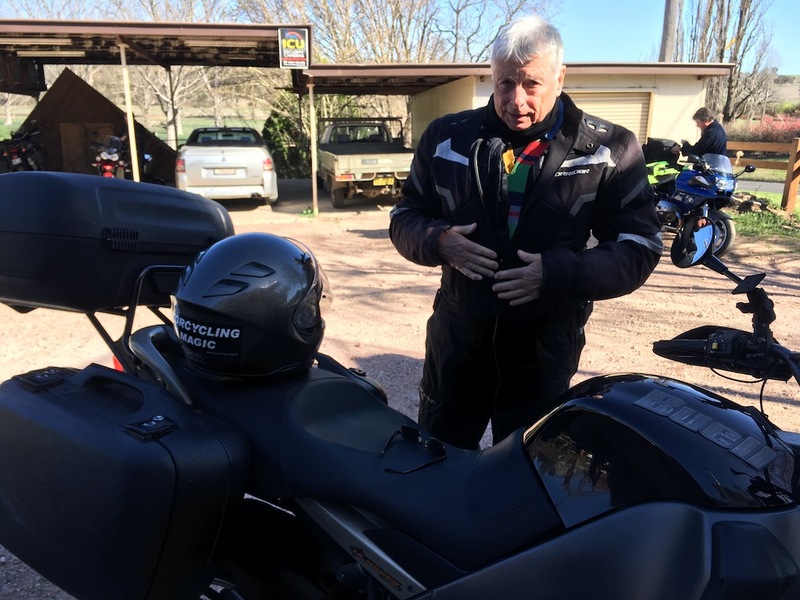 With no consensus, Margaret and Richard went via Tamworth, while Neil, Peter, Rob and I went via Walcha and the scenic Peel River Valley. David and Keith of course, did their own thing. We saw them leave in the morning, and saw them again at our destination. 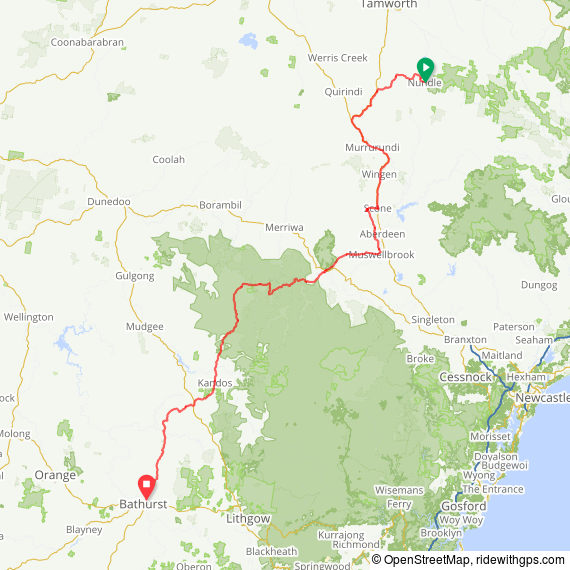 We set off from the indescribable Tatts Hotel of Casino with a detour due to the Greater Bank Casino Fun Run, and travelled along the Bruxner Highway to Tenterfield. What a great ride this one is, especially in the mildness of morning, after a good breakfast. Of course, it was becoming routine now to pass Peter who had stopped to fix his Hugger (again). Keith took his turn to have bike troubles, although fairly minor. The screws on his front mudguard were missing. With a sidecar, no problem. Keith removed the mudguard and travelled with it in his sidecar. 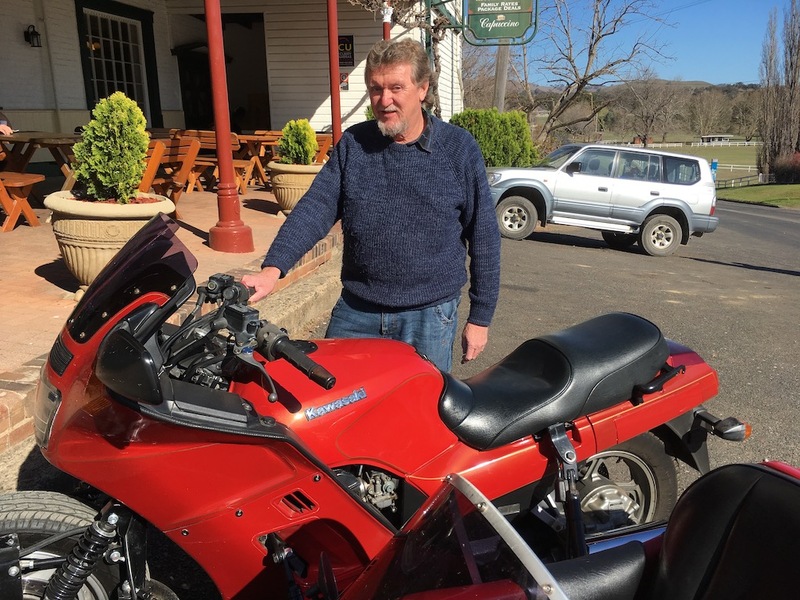 We had a surprise (especially Neil) when we arrived at Peel Inn Hotel (Nundle). There was Lyn and Murphy (her dog). Among other things, Lyn, who used to live at Casino, was surprised that we had stayed at the Tatts Hotel. Ah well, we’ll know next time!? The Peel Inn Hotel was a lovely pub, with delicious meals, and hearty well-cooked breakfasts. If they would serve Port, it would get a 5 star rating! 9 o’clock had become our de facto start time. Peter had had enough of his Hugger, and rang ahead to Nathan to start getting ready to fix it as soon as the bike got back to Bathurst. A quick pleasant trip via the Bylong Valley Way, after a ‘scenic’ route from Singleton to Sandy Hollow, and we were home before 4pm. 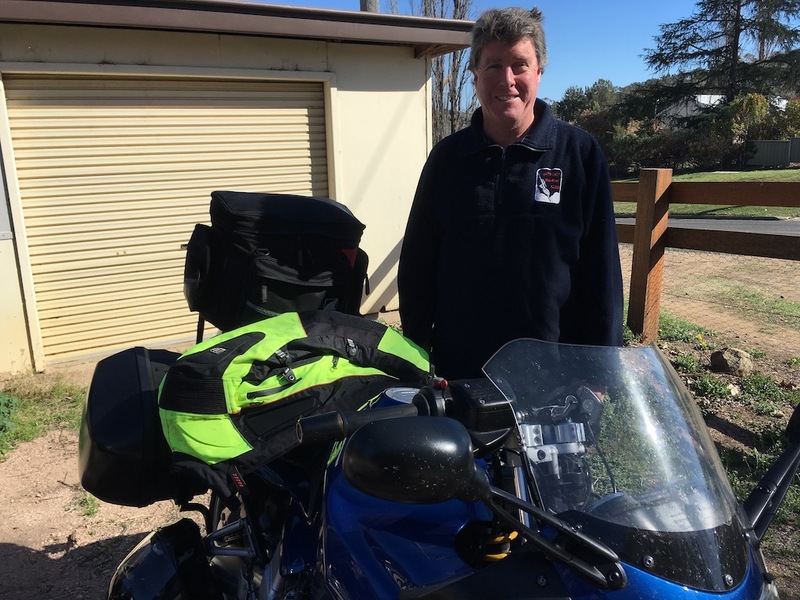 Richard left us at Scone, and Neil and Lyn and Murphy left us at Rylstone. 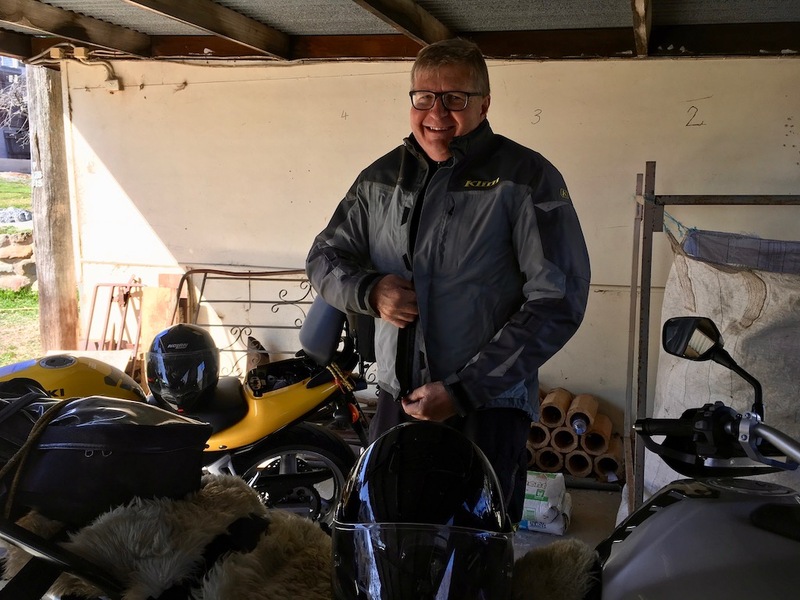 I bumped into John Howe (cycling mate) at Bylong, who was returning from a family trip to Newcastle. Thanks again Peter for organising a great trip. Lots of happenings, no accidents, and great times. Nothing personal, but I hope we don’t have to use you again!? But if we do, we’ll not be disappointed.